Yesterday I was helping a neighbor make an under-two-minute video for a TV announcement at a community cable station. See it below. Beforehand I had had my friend write a narration, and then asked him to meet me at a local greenhouse, where I knew the light was bright and diffused. I traveled light. All I brought to this shoot was a pocket sized point-and-shoot digital camera that takes excellent HD video , a lightweight tripod (the Quantaray Digi Pro 100), and an AA battery powered digital field recorder that’s smaller than many TV remotes (the Olympus LS-10). I had my friend record the narration about arms length away into the LS-10. I told him not to mind flubs, just to keep speaking, because I can take out the mistakes with a sound editor. (I use the free program, Audacity). Since talking heads aren’t very interesting, I decided to tell his story mostly with still shots which we had already accumulated over several months, and to use short video clips to introduce him as the narrator and finally to conclude the video. Using Sony Vegas Pro as my video editor I assembled the stills and video clips and the sound file, and had the finished video on YouTube within three hours. 1. Research your choice of camera. You’ll probably want one that you can stick in a shirt pocket, that takes sharp pictures and HD video. There are oodles of choices, but here are some that meet those criteria: the Samsung Dual View TL 225, the Canon Power Shot SD940 IS, the Sony Cyber-Shot DSC-TX1, and the Panasonic Lumix DMC-FP8. 2. Pick a light tripod with legs short enough to slip into a daypack or a small suitcase. You won’t need a very fancy or expensive one to support a light weight camera. You probably won’t even need a special video head for following action, because with a point-and-shoot camera you’ll need to be VERY close to your subject to get adequate sound recording. 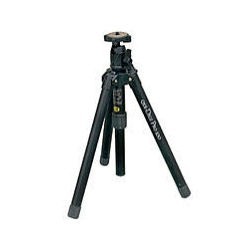 Try to do much of your video shooting on the tripod, as this will give you the most professional results. 3. Pay attention to sound quality. While a digital field recorder will give you the best sound, it is possible to record surprisingly crisp sound by holding your digital camera’s microphone area close to the source of sound and just film, without concerning yourself with what you’re getting visually. Later, in a video editing program you can strip away the sound portion of the video vile and you will then have a good digital sound file to work with. 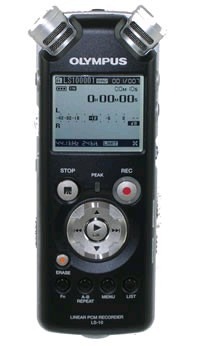 However, if you’re budget permits, do spring for a good, portable, battery operated digital field recorder such as the Olympus LS-10, pictured to the left. Yes, one can still use cassette tapes to record narrations, but it’s difficult to convert their analogue output to digital, which is what you’ll need to do video production. And besides, small tape recorders have moving parts that almost always leave a hissing sound in your recording. I always wonder how stuff gets loaded onto YouTube. Perhaps that could be a subject on this helpful site. Very good suggestion. I’ll be preparing a video soon about making a simple video and uploading it to YouTube. No. didn’t develop it myself. Go to the WordPress themes page and search for “technology”. This one should show up in the search result. It’s a free theme. Your article is very note-worthy and useful. I have bookmarked it for later to see what other great articles you post! This is a free WP theme. At the WP theme search page type in “technology.” This theme will pop up. Great Audio info, i’m bookmarking the page for the great content. Glad to have you visit, andyw. Please consult my post on subscribing to a blog using RSS. Would like to have you as a regular reader! Thanks, FreeMoviesWebsite.org. I’ll check out your site. Glad you found something interesting and helpful here. Please stay tuned. I intend to help people become savvy and able consumers and producers of Web content. Super Blog, Mate! Admitedly I’m a gadget fanatic and am always on the lookout for new and interesting sites and posts about interesting gadgets and gadget related stuff… which is what led me here. Any who how i just wanted to check in as I certainly plan on visiting again! See Ya! Nette gemacht dieser Blog. Sowas sieht man wirklich sehr selten. Glueckwunsch.